HCM City (VNA) – Vietnamese agricultural products have many opportunities to enter the European market, but exporters need to understand local consumption trends and come up with suitable brand-building strategies, said experts at a conference on promoting farm produce exports to Europe. At the conference held in Ho Chi Minh City on April 11, Bui Thi Thanh An, Deputy Director of the Vietnam Trade Promotion Agency, said the agricultural and food processing industries are changing to make Vietnam an important farm produce supplier of the world market, including Europe. Thanks to trade promotion and technical support activities, said An, European import partners, retail and wholesale distributors, and consumers have adopted a more positive view about Vietnamese food products. Meanwhile, Vietnamese firms in the field are now capable of meeting strict requirements from the market and demand from a number of top European importers. Koos van Eyk, Country Manager of the Dutch Centre for the Promotion of Imports from developing countries (CBI), said Vietnam’s agriculture and food processing industries are switching from exporting raw materials and labour-intensive, low-value simple processing to deep processing and exporting products with high value added with a better understanding of customers’ demand. Improvements in their trade management have built trust in the European market, he added. 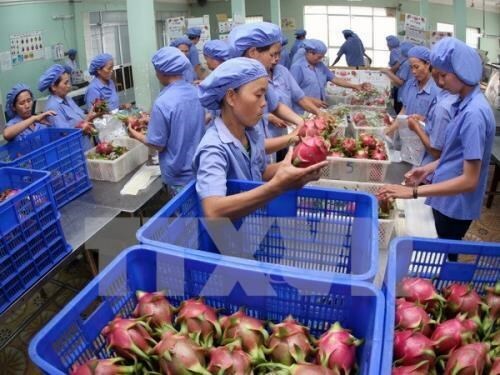 Participating experts recommended Vietnamese enterprises invest in research and development to create greater value for their products and actively catch up with consumption trends in the market.